Shipping and trade brought Fiji under public notice in England. 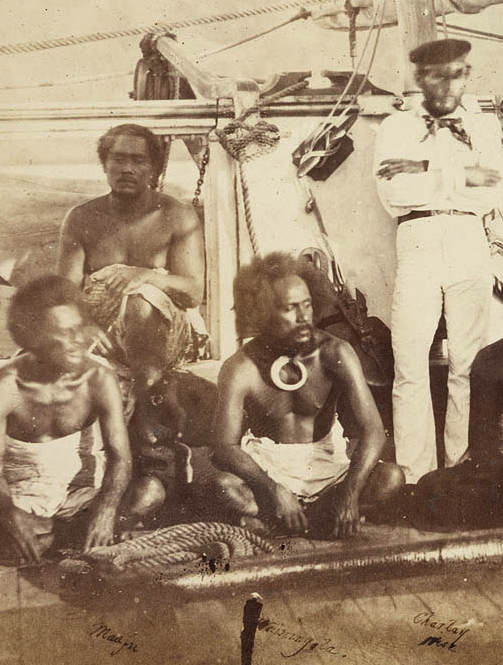 Missionaries had been at work in the Pacific since the closing years of the eighteenth century, it was not till 1825 that any steps were taken to begin work in Fiji. Two Tahitian teachers of the London Missionary Society, Hanea and Atai by name, reached Tonga in 1826, on their way to Fiji. there was no ship to take them farther, however, and they remained in Tonga for four years. Though they made little attempt to learn the Tongan language, their Tahitian speech was sufficiently understood for them to make some progress with their teaching. In 1830, the John Williams brought them to Lakeba; and soon afterwards they went to Oneata, and lived there under the protection of the chief Takai, who had previously visited both Tahiti and Tonga.